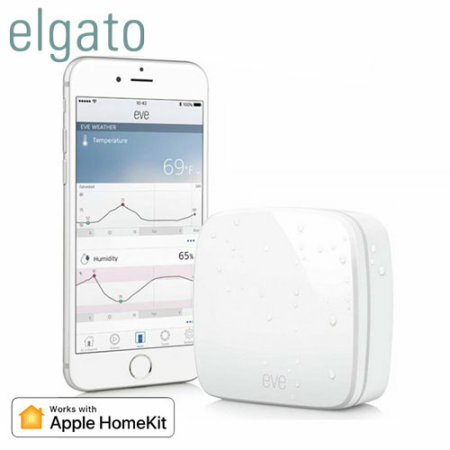 Keep up to date with the weather outside of your home with the Elgato Eve Weather. Gain real-time insights into the temperature, humidity, air pressure & quality outside of your home so that you're ready for any situation. Apple HomeKit compatible. 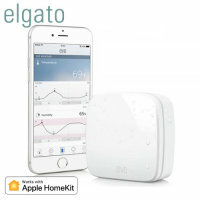 Ditch your weather apps and get incredibly accurate weather reports in real-time, at your home using the Elgato Eve Weather. With advanced weather sensors, you can access details on air quality, temperature humidity and air pressure so that you can get yourself and your home ready for any weather. Download the free Eve app on your Apple devices and keep track of the weather outside of your home with advanced weather data over hours, days, months and years, displayed on aesthetically pleasing graphs. 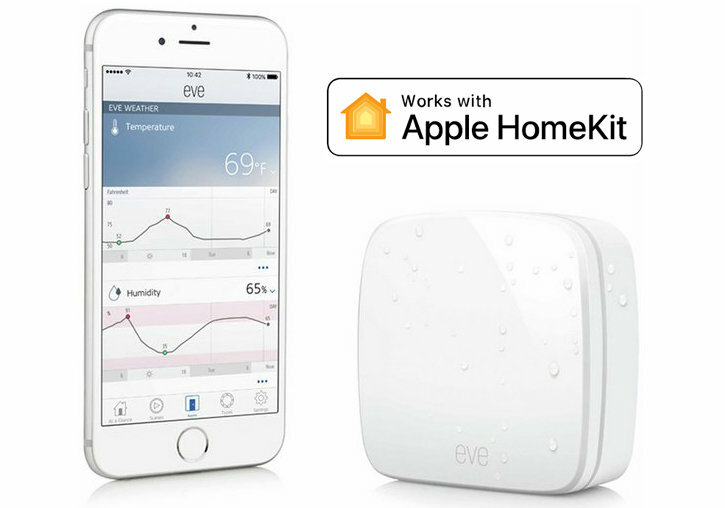 The Eve Weather has "Works with Apple HomeKit" certification, so you can use all of your Apple devices to remotely check air quality, air pressure, temperature and humidity levels outside your house both while at home or on the move. 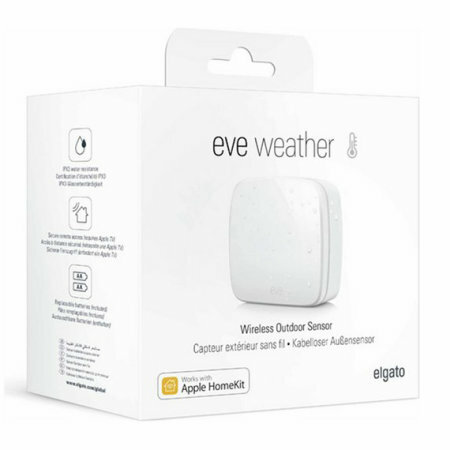 Add the Eve Weather to your current collection of HomeKit enabled smart home devices to help you to keep up to date and take complete control of your home using your voice with Siri or with a simple tap. Raining outside of your home? Use the Eve Weather to remind you to take your umbrella with you from work. Feeling unbearably hot and sticky on a summer's day? 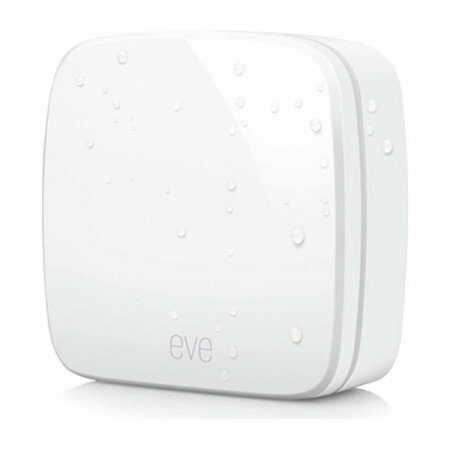 Check the temperature and air humidity at home using Eve weather and use Apple HomeKit to turn smart fans and dehumidifiers on at home so that your walk into a comfortable environment. Eve Weather paired with Apple HomeKit gives you the tools you need to keep your house feeling fresh. Looking for more detail or need to change some advanced settings? Use the free Eve app to control all of your Elgato products from your compatible smartphone. With IPX3 water resistance, the Elgato Eve Weather is splash-proof and therefore suitable for outdoor use. 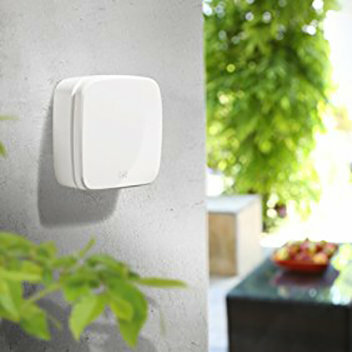 Coming in a compact, sleek white design and without any wires, the Elgato Eve Weather can be placed anywhere outside your home and blend in with its surroundings. 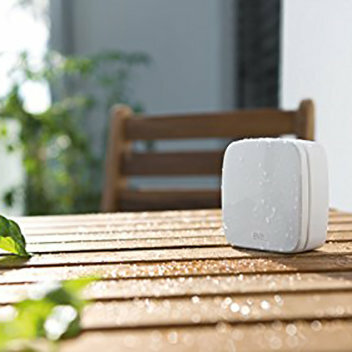 Powered by replaceable AA batteries and equipped with Low Energy Bluetooth, the Eve Weather works efficiently outside your home without the hassle of wires. Please Note: The Elgato Eve Weather requires an iPhone, iPod touch or iPad with iOS 10.3 or later. In order to control this HomeKit enabled device automatically or away from home you must have Apple TV with tvOS 10 or later or an iPad with iOS 10 or later set up as a home hub.